Manchester United has had some history of good footballers who have found the net more often than any other in their wonderful football history. Today Wayne Rooney equals Bobby Charlton's record of 249 goals which triggers in us the need to go through down and rearrangement of Manchester United's all time Top goal scorers with respect to goals scored and Match appearances. Manchester United sharpest 10 strikers, Midfielders, forwards and who ever able to find the goals include the following. From 1992 to 2011 and called back from retirement for 2012/2013, goes a long way to show how valuable the player had been to the United squad, his retirement dealt a great blow Yo the United team due to lack of replacement and up till today United has not found a Midfielder as complete as Scholes. Scoring 155 times in 718 matches played which is 22% for his time played. 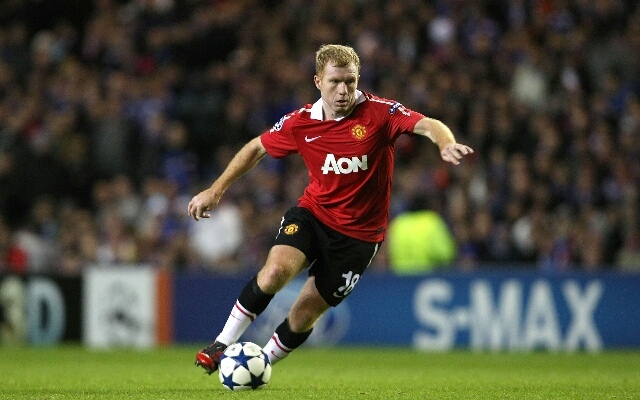 Zinedine Zidane called Paul Scholes his toughest opponent, while Pep Guardiola claimed the England man was the best midfielder of his generation. 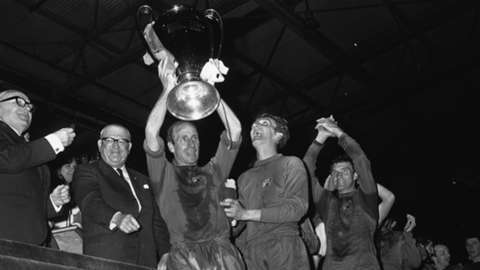 To Sir Bobby Charlton he was "the embodiment of all that I think is best about football" he remains one of the greatest United has ever had. Joined Manchester United 1919 from Scotswood he was a master from the wing and during his 14 years at the Club had United Chanting "give it Joe" such was his importance to United, and Manchester, he was known locally as "Mr Soccer". Scoring 168 in 963 appearances which amount to 0.17 goals per Match. 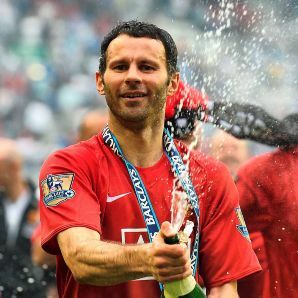 Played for good 24 years (1990-2014) in Manchester United scoring 168 goals in 963 appearances and was one of the most dangerous wingers Manchester United has ever had, with great foot work Ryan Giggs broke through Defenses, though unable to score like the rest Giggs was the architect in most goals scored by his team mates in his time, earning him a place in United History. One of the biggest players ever to play for United, played around the time of United biggest plane crash tragedy and played a great part in the United rising after the tragedy, making 748 appearances with 249 in his period as a United player which amounts to about 0.33 goals per match appearance. 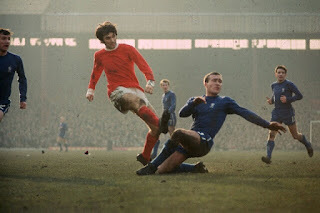 He was part of the Revolution, winning the European Cup in 1968, Premier League and FA Cup, he is regarded by many the greatest Manchester United Legend. Played from 1996 to 2007. "And Solskjaer has won it!" The commentary which greeted the Norwegian's injury-time winner in the 1999 Champions League final will go down amongst the most memorable of all time. But even beyond that most incredible of nights, Solskjaer left a significant imprint on Manchester United. Despite his unshakable 'super sub' status in an era when United had top strikers galore, the 'Baby-Faced Assassin' still racked up a phenomenal 126 goals in 366 club appearances which 0.34 goals per appearance. 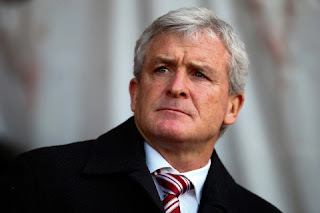 And his unflappable demeanour in any and all situations won further hearts and minds among supporters at Old Trafford. 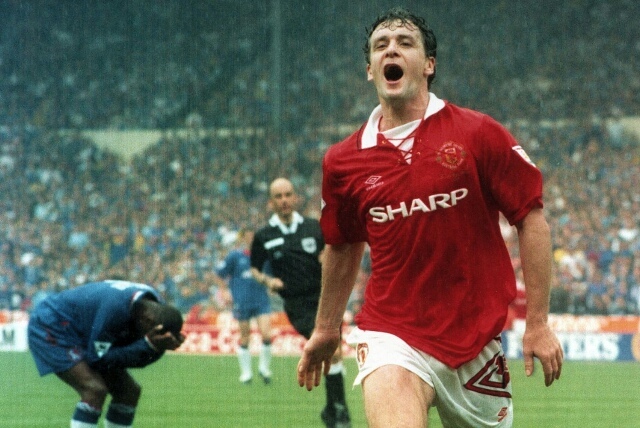 Nick named "Sparky", the United forward was one of Alex Ferguson's bedrock to success, performing alongside first Brian McClair and then Eric Cantona, he was able to gather a European Trophy in 1991, scoring the two goals which maid the difference against Barcelona In Rotterdam. Scoring 163 in 467 Appearances which is 0.35 goals per Appearances, the stricker remains one of the best forwards to ever grace foots in Old Trafford. European Footballer of the Year and the FWA Footballer of the Year . scored 179 goals in 470 appearances, 0.38 goals per appearance through out his time at the Club. 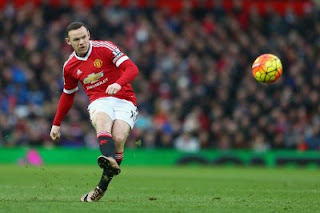 12 years as a United player Wayne Rooney equaled sir Bobby Charlton's record of 249 goals in January 2017 with more games left for him to play for the season, the United Masked man had been consistent in finding the goal throughout his career, the England Captain and Manchester United Captain is already the England all time goal scorer and now tied with Bobby Charlton with 249 in 543 appearance which 0.46% goals scored per Match, 0.13% better than Bobby Charlton's in the number of games played. 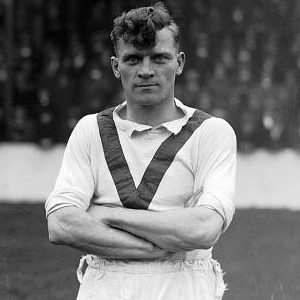 Manchester United Gun man Nick named the "Gunner" was one of the great left footers in United's history, playing initially for Bournemouth and and Wolverhamton before competitive football was suspended during the war, but after the war, he joined United and in his time with United Scored 211 in 424 which amounts 0.49 goals per Appearance. 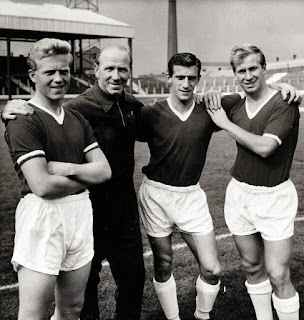 Remembered as one of the Forgotten United forwards, Rowley was Very effective in both Aerial and ground Balls, he was one of the greatest of his time, member of the Famous Busby Babes of the 50's. 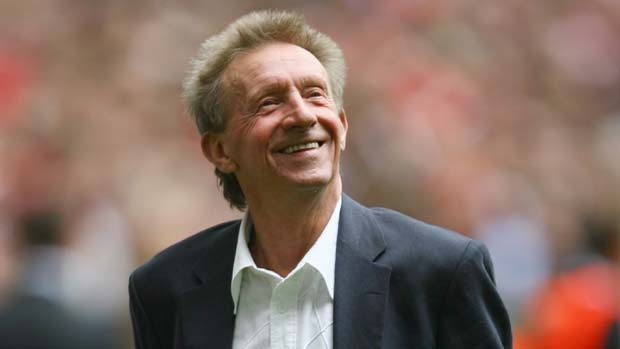 Denis Law started his career with United in 1962 and spanned 11 years at Old Trafford, he was a great Midfielder with high dribbling power and fierce accuracy, the Scottish player regarded as the greatest by his Nationals. Nicked named "The King" the Scott combined speed, skill, bravery and aggression scoring 237 in 404 appearances which is 0.59% dangerous when found with the ball. Denis Law scored 46 goals in 1963/1964 season which remains the highest goal scored by a United player for a season. 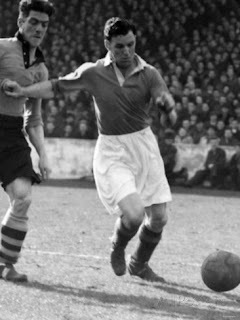 Member of the Iconic Busby Babes in the 50's Dennis Violet was the best of his time, a natural goals scorer who was terror to any goalkeeper of his time, Making 293 appearances and scoring 179, the great footballer was a key role player in the team with 0.61 per Appearance. Survived the Air Crash in Munich alongside Bobby Charlton, the Forward went on to play motivational roles in the rising of the United team after the crash.